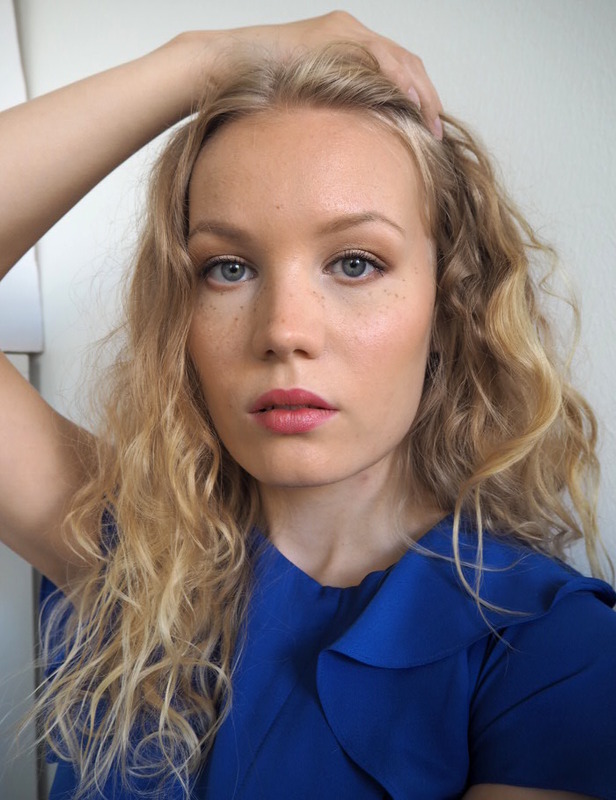 The best lipstick I’ve ever tried? Even though I try out great new products pretty often, it still always amazes me, when I find a new product that is absolutely great. Like this lipstick – a simple product, but somehow it has all the features I’m looking for in a lipstick. I got this lipstick as a pr-sample, and the color was chosen for me. I picked up my package and looked at it: it looks like a lipstick. I opened the lipstick, and I looked at the color: well, looks quite ordinary. I quickly read through the info about the lipstick and saw that it retailed here for fifty euros – wow – okay, is it possible for it to be worth the price? Well, obviously that’s a personal choice, but when it comes to the packaging, the consistency, the color, the longevity, and how it acts on my lips… this lipstick is pretty close to perfect. And I don’t say that lightly. I think a lipstick lover would love this, but I also think this would be a great lipstick for someone, who is not used to wearing lipsticks. So let me tell you all about it. The consistency in Jane Iredale’s new Triple Luxe lipstick is very nice. It feels silky smooth when applied, but not too much. Actually, my lips feel like my lips, even after applying this product. And there’s the secret. I can wear it, without feeling like there’s anything on my lips. Better yet, the lipstick wears off very naturally and at the end of the day, my lips don’t feel dry, or as if I was wearing lipstick all day. That’s why I think this lipstick would be great for someone, who’s not used to wearing lipstick. It feels comfortable. The color payoff in the lipstick is nice. It’s suprisingly pigmented, compared to it’s thin consistency. You can layer it a bit, to get an even more intense color. But personally I’m fine just with one layer and I think the color it gives with one layer is beautiful. The color seems to almost melt to my own lip color and it looks natural. This lipstick is not that long-lasting, but I think it’s not a bad thing. As I said, the color is nothing too crazy, so it also wears off naturally from your lips. Meaning, you don’t look crazy when it wears off and you forget to fix your lip makeup. (At least with this color that I have.) And it’s also easy to just re-apply. When I’m wearing this, I re-apply it after eating. When it comes to the packaging, there are no big surprises there – Jane Iredale knows their packaging. The lipstick looks beautiful and luxurious. 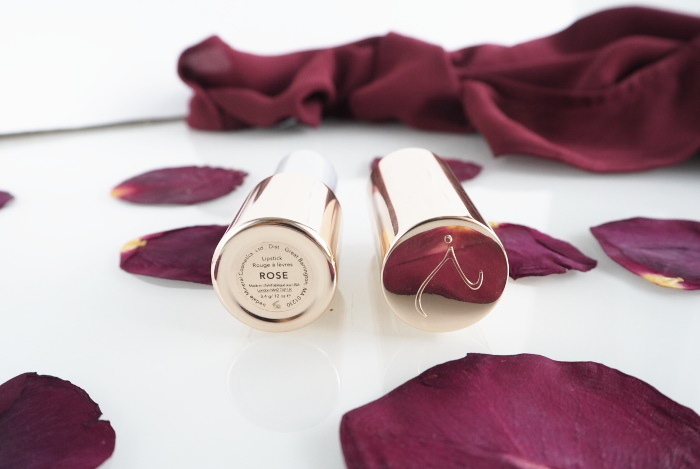 But there is a small detail in the lipstick, which actually makes it even more luxurious: it has a magnetic closure, so when you close it, it slides effortlessly to it’s place. It’s one of those oddly satisfying things. The shade I got is Rose, which is actually cool-toned rose color. On me though, it doesn’t look that cool. I’ve recently noticed that about myself: even cool-toned makeup products look quite warm on me. Undertones are tricky! I need to blog about that soon. I sometimes feel bad for praising a product so much, but I just can’t think of anything negative to say about this, except the price. Which, then again, is kind of justifiable. It is a good lipstick, no way around that. Triple Luxe Lipstick is available in 15 shades and you can buy it for example on amazon Luxury Beauty (which is an authorised reseller according to Jane Iredale). What do you think, is the best lipstick you’ve ever tried? This looks so pretty on you! I love discovering an amazing new product. I think my favourite formula would be Charlotte Tilbury’s lipsticks, especially the KISSING range. They feel like a lip balm but are so pigmented and last really well. This packaging looks really luxurious like the CT one, I love the idea of a magnetic closure.